Although there has been increasing pedagogical attention to the English for Specific Purposes (ESP) in Japanese English education, ESP theory, and specifically its concept of genre, is not well understood by teachers and learners. Using some examples, we explain genre models and genre systems as hard systems and suggest that adding the perspective of systemic functional grammar to current ESP teaching and learning practices will be beneficial for English learners. In a genre system, the interconnectivity of genres in terms of discourse communities and language functions is key to understanding that composing elements of genres and language use do not have much meaning as parts but are crucial for the whole. An ESP genre approach not only clarifies English learning objectives but also equips learners with the skills to analyze genre text and to make sense of complex discourse realities. 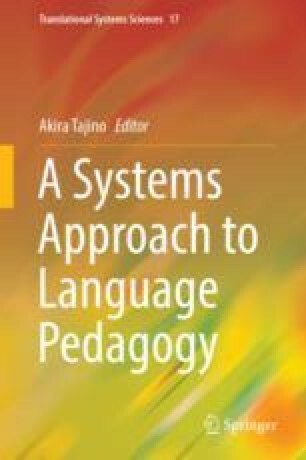 We argue that in ESP classrooms, a soft systems methodology helps reveal different perceptions held by stakeholders, and an ESP genre-based approach can be applied to improve a problematic situation in ESP classrooms based on a soft systems framework. Hyland, K. (2017). English in the disciplines: Arguments for specificity. ESP Today, 5(1), 5–23. https://doi.org/10.18485/esptoday.2017.5.1.1.